I like instant gratification, especially when it comes to baking. So baking with yeast isn’t something I dabble in too often. If I find a bread recipe that I want to try and then I see the time it takes to rise my brain goes something like this: You mean I have to wait THREE HOURS before I can even put this in the oven!? Nothankyou, I could have eaten my way through three batches of chocolate chip cookies by then. But sometimes it’s nice to create something that does take a little more patience. Sometimes it’s nice to have a project that consumes you and does take time. I promise you: these are worth your time. Buttery, soft Orange Sweet Rolls. The name doesn’t lie, they are sweet, but that orange zest adds a light, refreshing touch and keeps them from being overbearingly so. And yes, the combined amount of time they take to rise is three hours, so unless you yourself are an early riser they’ll make a much better brunch than breakfast. 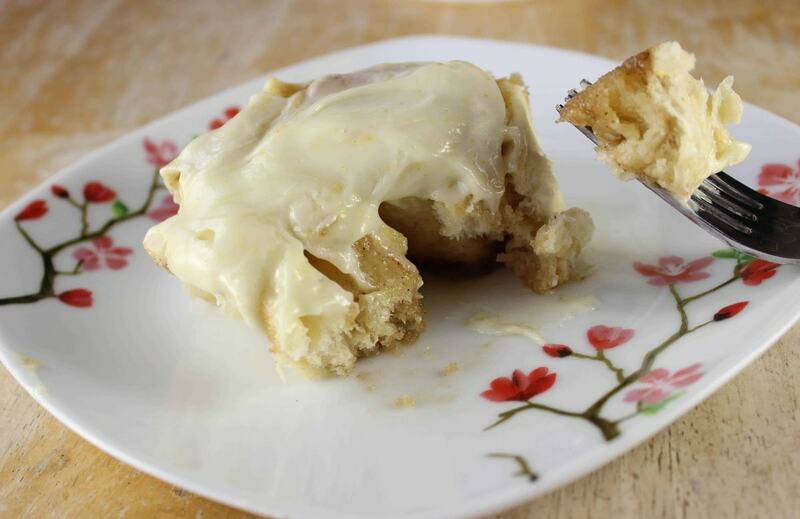 This recipe uses a basic sweet roll recipe (thanks AllRecipes.com), while the filling and icing are my own creation. In a bowl combine sugar, yeast, and water. The water should be between 100-110 F, just run your tap water warm and you should be able to easily get water of this temperature. Stir the ingredients briefly, and allow to sit for 10 minutes. In saucepan, scald your milk by heating it over medium heat while stirring constantly until bubbles begin to form and steam begins to be produced. Remove from heat and add 1/4 cup white sugar, butter and salt. Stir until butter is melted. In a large bowl (or stand mixer) combine yeast mixture, milk/butter mixture, eggs and 1 1/2 cups of the flour. Stir until well combined and then add flour, about 1/2 cup at a time beating well after each addition (dough should be sticky, but clinging together). Turn dough out of bowl onto a lightly floured surface and knead for 8-10 minutes. The dough should be smooth and elastic. Grease a large bowl with butter. Put your ball of dough in the bowl, rolling it around the sides so that the surface of the dough is covered with a thin layer of butter. Cover the bowl with a damp cloth and allow dough to rise in a warm space for 2 hours. Meanwhile, prepare your filling. Stir together softened butter, brown sugar, flour, vanilla and orange zest. The mixture will be much like a paste. Prepare 13x9 pan: melt 1/2 stick butter, add 1/4 cup brown sugar and 1/4 cup white sugar. Stir, and pour into the bottom of pan. Once the dough has finished its rise, roll it out onto a lightly floured surface. Roll the dough into a rectangle (about 20x16", the shape is important and the rectangle should have distinct corners because this will affect the quality of the appearance of your rolls) about 1/4 inch thick. Spread the filling over the rolled dough, avoiding about 1/2 inch on both of the longer edges. Starting from one of the longer ends, slowly roll up the dough, starting at one corner and slowly moving down the length of the dough to evenly roll. Start with a tight roll; after the first two turns it should roll easily. Gently, using serrated knife, cut roll into 1" slices and place (swirl side down) into prepared pan. 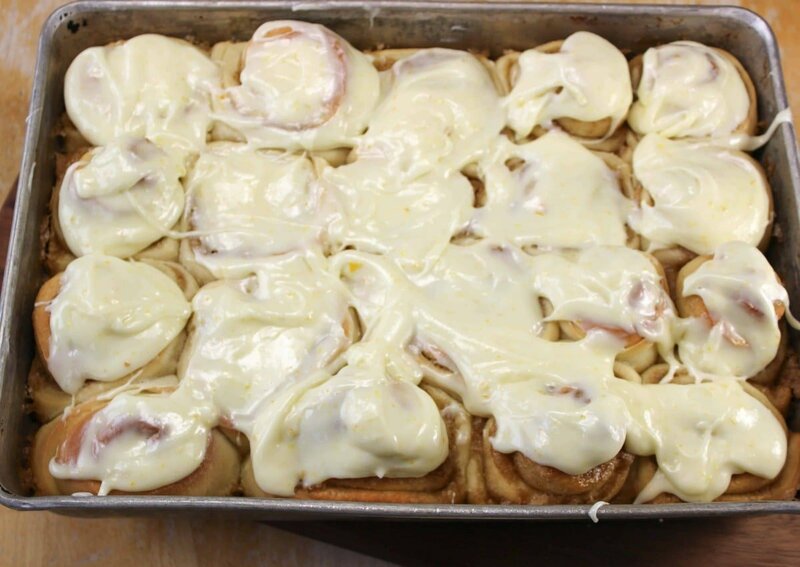 Cover the cinnamon rolls in the pan and allow them to rise again for 1 hour before baking. Once rolls have had 1 hour to rise, remove the towel and bake in 375 F oven for 20-25 minutes (tops will be slightly golden brown when done) and remove. While rolls are baking, prepare the icing. Add orange zest and orange juice and gradually add the remaining sugar. Beat until combined, scraping down the sides of the bowl to make sure that all ingredients are equally incorporated. 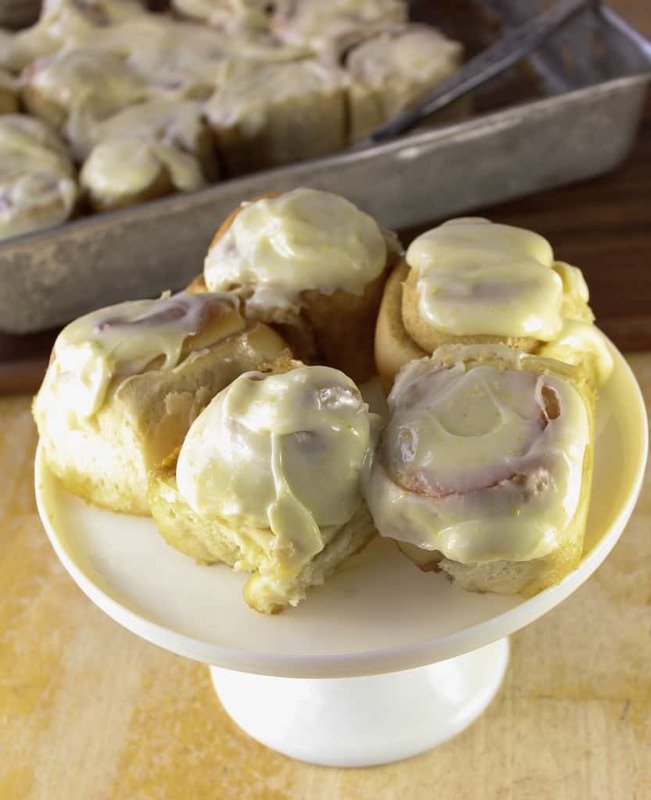 Once the rolls have been removed from the oven, allow them to cool for about 5 minutes and then use an icing spatula to generously portion icing over the pan. Hi, I’d like to prepare my rolls the night before & bake them in the morning. Have you tried this with this recipe? Under filling ingredients you list 3 cups 10x sugar. What is 10x? Also, I don’t see where you use 3 cups of sugar in the filling. 10x sugar is powdered sugar, or confectioners sugar. It is under the icing and not the filling. Hope this helps! Hahah, I am totally like you. I probably eat more cookie dough while baking cookies than actual cookies. I just want it NOW!! These definitely look worth the wait. I love this! I think that’s the reason I started to really like baking… that cookie dough… yum. Oh my goodness, I love orange sweet rolls! Almost more than cinnamon rolls. Probably because since there’s fruit in it I don’t feel so guilty and I tell myself I’m basically eating a salad. Haha! Citrus is perfect for this time of year. Hahaha I love the way you think about desserts with fruit! And chickens are pretty low maintenance and you don’t need too many of them to get a LOT of eggs. I was right – your sweet rolls look and sound amazing. I love anything that contains any form of citrus, so needless to say these rolls are right up my alley. Yum! !